If you have been reading my blog regularly, you will know that I am Charlotte Tilbury addict! At this stage, almost half of my makeup kit consist of Charlotte Tilbury products... this is how much I love this brand! 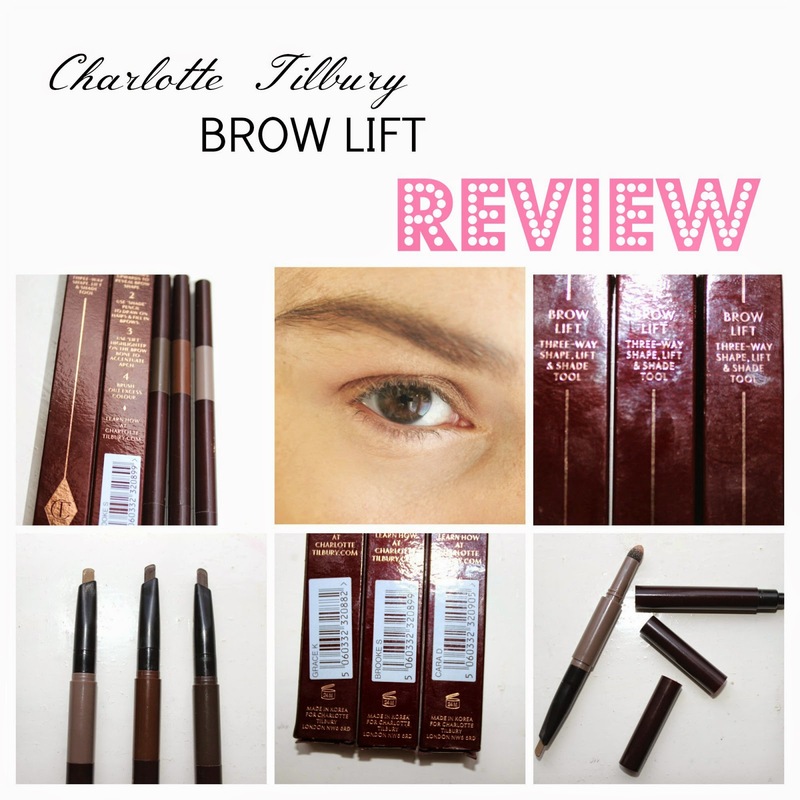 New addition to my makeup kit is the Charlotte Tilbury The Brow Lift. 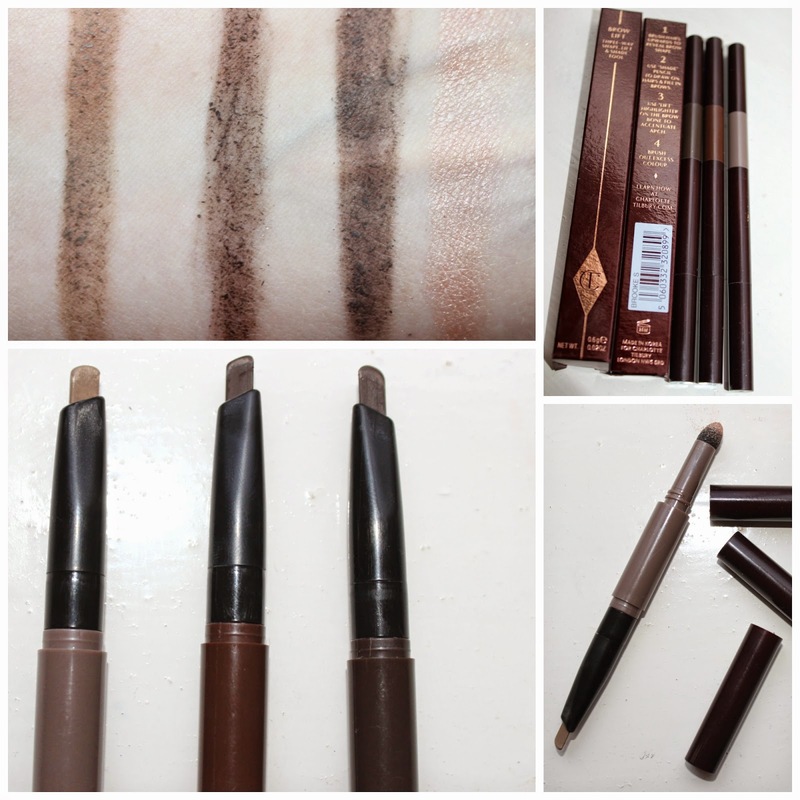 This is a three way shape, lift and shade brow pencil, which contains a comb and a highlighter shade inside of the body - so basically three products in one. 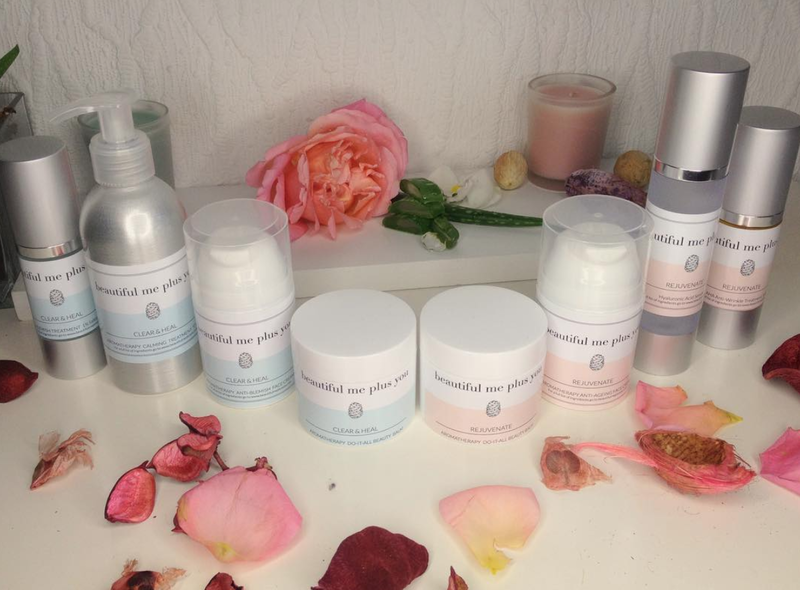 I really love the convenience having three products at hand, this defiantly will speeds up makeup application. I've also recorded a video using the brow lift, this is usually how I fill in my eyebrows, so check it out here. Brush the brows upwards to reveal their shape. Draw a line with a brow pencil that matches your brow colour - if in doubt go a shade lighter – just under the brow where the brow should start. If you can imagine a straight line going from the end of your nostrils towards the eyebrow, this is where your brow should start. Draw another line to define the arch or if you don’t know where the arch is supposed to be – good rule of thumb is just above your lens. I noticed that the pencil are not that pigmented and the color almost doesn't go on to the brows sometimes. I must admit though that I was very disappointed that the golden print came off pretty much after the first use. Another thing that I don't like about this brow pencil is that the caps come off all the time and everyone knows, if that happens the product will dry out! So this defiantly shouldn't be happening given the price of Euro 24.00. I am still in two minds if I will be purchasing these again - they probably will last quite a while, so I will think about it in a meantime. Don't get me wrong, they are a good brow pencils, but by no means ground breaking or a "must-have" for your kit. Have you tried the Charlotte Tilbury Brow Lift yet? What are you impressions so far? Fantastic post, I haven't tried anything from Charlotte Tilbury yet!